from 100 yards in. Yes, you could chop 10 shots off your handicap just by improving your skills with wedges and a putter. For some there’s a frustration of lost opportunity and ruined scorecards when they spoil a hole with poor wedge shots. 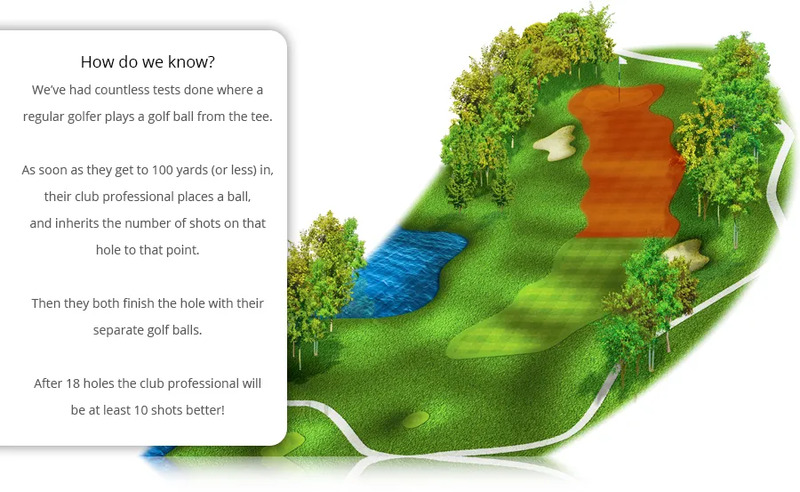 Improving your game with the wedges offers big scorecard improvements and more successes.